Nescio updated the diff for D1790: Separate stable from barracks. Nescio added a comment to D1803: Communicate field diminishing returns to the player. Just update the diff, taking into account the suggestions raised in this discussion, then people can request further changes, or accept and commit this patch. The idea is to do things properly rather than quickly. Nescio added a comment to D1815: match unit classes with templates. Nescio added inline comments to D1791: Separate range from barracks. Nescio added inline comments to rDD090add709894: Port the Design Document to MkDocs, following GitBook's decision to stop…. Nescio added a comment to rP22184: Move more things in the projectile part of the Attack/Ranged component. What does <LaunchPoint y="3"/> mean? Also, y suggests there could be x and z components. Furthermore, if it's always 3, wouldn't it be better to set that by default? Same question for <Gravity>9.81</Gravity>. Nescio created D1824: merge spart_syssiton.xml classes. Nescio updated the summary of D1796: create template_defensive_palisade.xml. Nescio updated the diff for D1794: template_structure_defensive_wall* simplification. Nescio added inline comments to D1796: create template_defensive_palisade.xml. I assume agricultural products would be the most general term? Do we want that in game? No, we don't; agricultural products can also include cotton, fruits, cheese, eggs, meat, etc. Let's keep it simple: all farms provide the food.grain resource, thus let's simply write "harvest grain"; using any different wording can only make things more confusing. Nescio updated the diff for D1796: create template_defensive_palisade.xml. Nescio added inline comments to D1794: template_structure_defensive_wall* simplification. Nescio updated the diff for D1791: Separate range from barracks. Nescio added a comment to D1547: typography corrections in quotes. "\"Zeus \\[…] established his law: wisdom comes through suffering. \\[…] So "
"men against their will learn to practice moderation. \\[…] Such grace is "
"harsh and violent.\" - Aeschylus (\"Oresteia\", I. 176-183)"
msgstr "„Zeus \\[…] stellte sein Gesetz auf: Weisheit erlangt man durch Leiden.\\[…] Dadurch lernen Menschen gegen ihren Willen, Bescheidenheit zu praktizieren. \\[…] Solch Eleganz ist rau und gewalttätig.“ – Aischylos („Orestie“, I. 176-183)"
Nescio updated the diff for D1547: typography corrections in quotes. Nescio added a comment to D1761: Enable workshops. Two days ago I started a poll on the forums – https://wildfiregames.com/forum/index.php?/topic/25628-should-workshops-be-enabled/ – and there appears to be clear majority in favour (19–2). 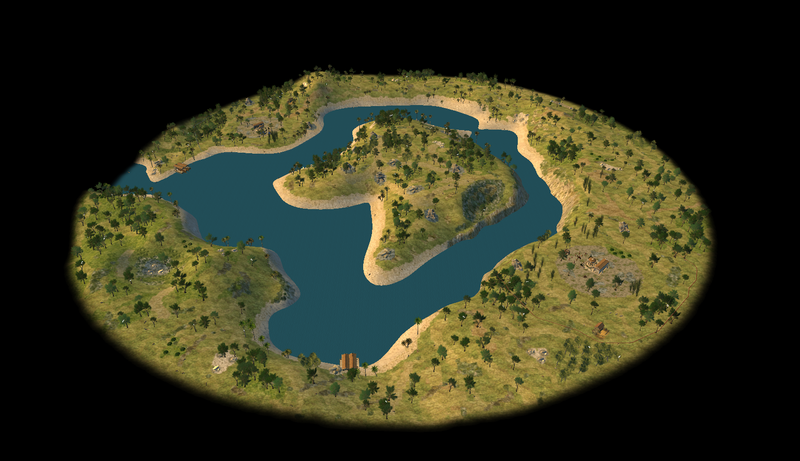 Nescio added a comment to D1820: island → peninsula. Nescio added inline comments to D1819: Make capture attack work with units with BuildingAI..
Nescio updated the diff for D1765: Gaia templates' <Selectable> clean-up. Nescio added a comment to D1796: create template_defensive_palisade.xml. Maybe build time, wood cost, and loot ought to be made proportional to health, e.g. health/50? Nescio added a comment to D1765: Gaia templates' <Selectable> clean-up. Nescio updated the summary of D1790: Separate stable from barracks. Nescio updated the summary of D1791: Separate range from barracks. changing vegetables to grain wouldn't work since f.e. the Chinese mod has rise fields instead. Grain is not necessarily wheat; rice is also a grain, as is maize. And crops are not necessarily edible (e.g. hemp, flax, cotton). Moreover, the resource type farm fields provide is food.grain. Nescio updated the diff for D1793: reduce template_structure_military* duplication. Nescio created D1818: quotes corrections. Nescio added a comment to D1806: standardized structure aura descriptions. Why is the format is used if it's not that? For some people +1 might imply everything is an integer, which is not necessarily true. Anyway, if you think it's better to remove the .0 then I can do that. The tooltip lies about elephants, quite a stuffed tech, but it should still work out, the part +15% melee and ranged attack damage could be +%(AttackMeleeHack)s%% melee and ranged attack damage, still seems less than more likely to mess up the numbers, as one now only needs to compare that ranged and melee attack is the same, instead of testing that ranged and melee attack and the number in the tooltip are the same? In the example “+15% melee and ranged attack damage” groups nine modifications; AttackMeleeHack is just one value; so if only that value is changed, the statement is no longer true, because the other damage types are unchanged, thus the editor will still have to rephase the tooltip when he change a modification. 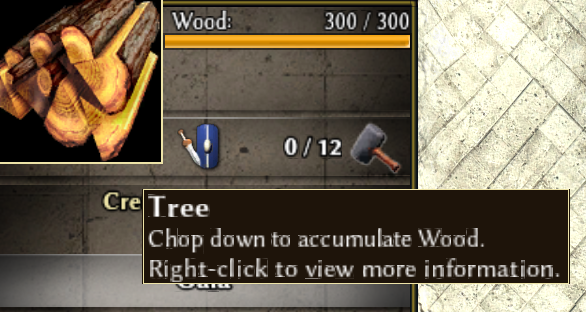 Of course, if there is exactly one phrase per statement, then it's not necessary to update the tooltip with your suggestion, but then the total sentence will be much longer and thus more time-consuming to read and understand, which is problematic for players in game. Another example: team and civ bonuses; they are also listed in the civ files. Right now if one is changed the editor updates the tooltip in the technology file and can copy-paste it to the description in the civilization file; anyone can see at a glance if they're the same. With your suggestion, the tooltip in the bonus file no longer has to be updated, but the description in the civ file still does, since they're no longer identical. Besides, how often are values actually changed? Nescio updated the diff for D1807: standardized catafalque aura descriptions. Updated: food, wood, stone, metal. Personally I think it's perfectly fine some modifications use decimals; there is no reason why every addition should be an integer. Concerning your trailing zeroes point, for me .0 indicates the number can be a decimal, but not necessarily that it is limited to exactly one decimal. Nescio updated the diff for D1815: match unit classes with templates. Nescio updated subscribers of D1815: match unit classes with templates. @bb, @elexis, @Stan, is one of you willing to review this patch? Nescio added inline comments to D1815: match unit classes with templates. Nescio created D1815: match unit classes with templates. For consistency I chose to give all added numbers a decimal. Besides, it also helps differentiating addition (e.g. +10.0) from multiplication (e.g. +10%). https://trac.wildfiregames.com/wiki/EnglishStyleGuide doesn't say how to format numbers in strings, so I suppose it can be argued it's a matter of personal taste. It would make sense to decide upon a standard, though. Nescio added a comment to D1798: move territory_pull.xml from other/ to special/. The organization of file locations (and names) should be logical and easy to understand, to keep things simple for future additions and mods; if one creates a new file, it ought to be immediately clear where to put it. I think it's not really important whether auras are located under data/, under templates/, or somewhere else in the simulation/ folder; the important thing is that all aura files are inside auras/. Still, what's wrong with the current location of auras and technologies? Hm. I think auras and techs are also templates, just not entity templates. What do you mean exactly? Auras and technologies are json files located under simulation/data/auras/ and simulation/data/technologies/, respectively; why should they be placed under simulation/templates/ instead? The reverse is no longer true: D933 moved formations (which inherit from template_formation.xml) into the special/ folder. What makes it special though. What's so special about the special/ folder is that what's in there (except for formations) does not inherit from any of the generic template_*.xml files. other/territory_pull.xml is special because it's unlike anything else and has no parents. Makes me wonder why that folder is called "other" and notthing relating to "gaia"? So should the "other" folder be moved to gaia afterwards? The other/ folder contained a lot of different things under A22, but since then gaia objects (ruins, treasures) have been moved to gaia/ and units (catafalques, plane) to units/. I agree the existence of the other/ folder is confusing and that it would be better to deprecate it. Because everything what's left under other/ inherits from template_structure.xml, it would make sense to move all those other/ files to structures/ in a future patch. Nescio added a comment to D1759: Remove <Actor> and <SpecificName> from generic templates..
Why not? These pyramids are ruins, a source of stone. Nescio updated the summary of D1808: standardized hero aura descriptions. Nescio updated the summary of D1807: standardized catafalque aura descriptions. Nescio updated the summary of D1806: standardized structure aura descriptions. Nescio created D1808: standardized hero aura descriptions. Nescio created D1807: standardized catafalque aura descriptions. Nescio created D1806: standardized structure aura descriptions. Nescio accepted D1614: English review of cavalry unit references. Nescio accepted D1805: acropolis → citadel (non-Greek fort), plateau (orography). Nescio added a comment to D1802: centre → center. Feel free to implement this (and other patches); I can't commit myself. Nescio added a comment to D1805: acropolis → citadel (non-Greek fort), plateau (orography). You're correct in stating there is a difference between "acropolis" (citadel) and "plateau" (geological feature); I can accept your changes to the "Decription": strings. However, I disagree with your "Name:" string changes. Although acropoleis are typically Greek, the word can also be applied to similar features in similar cultures. There is no need to change the map names, therefore please revert those. Nescio added a comment to rP22147: can be bought → could be bought. Ignore my previous post, 66 was already changed, you just corrected 103 accordingly. Nescio added inline comments to D1614: English review of cavalry unit references. You forgot to change the same string in line 66. Nescio updated the summary of D1711: map preview naming consistency. Nescio updated the diff for D1711: map preview naming consistency. Nescio updated the diff for D1720: team bonus descriptions consistency. Nescio updated the diff for D1780: legionnaire → legionary. Updated, now with map files (let's see what Vulcan does). As for the diminishing returns part, I agree that information ought to be given, but I'm not convinced the current proposal is clear enough. How about "Harvest grain for food. Each subsequent worker is less efficient than the previous." or something similar? Nescio added a comment to D1800: Display correct ranged attack overlay for structures. Restricting this update to buildings. For units this to work it needs to enable recomputing range overlay on unit motion what could become expensive. Personally I would strongly recommend to correct it for all entities, including moving units, not just for structures. At the moment the range overlays are incorrect, because they do not take the elevation bonus into account. Displaying incorrect information is worse than displaying no information at all. Performance is of lesser importance; range overlays are options that can be turned off. Nescio created D1802: centre → center. Nescio added inline comments to D1720: team bonus descriptions consistency. Nescio added a reviewer for D1720: team bonus descriptions consistency: Gallaecio. Nescio added a comment to D1801: can be brought → could be brought. "Must be constructed in neutral territory. Has no territory radius effect. Trains all 'mercenary' units." The military colony does have a territory radius and a different name. Nescio added a comment to D1614: English review of cavalry unit references. Perhaps you could also include some related corrections for consistency and completeness? Line 103 appears to be identical to line 66, so you might want to correct that one too. However, because neither the civ bonus nor the structure are implemented, it might be better to just purge both. You're correct in stating that those palisade files are rather messy. I have no solution for it, they're all being used in different maps. All this patch does is merely reduce the amount of duplication in those palisade files. Nescio created D1798: move territory_pull.xml from other/ to special/. Short answer: not all structures have to buildable in any game. It's perfectly fine if there are some non-buildable structures available for specific maps. Nescio added inline comments to D1355: Introduces axeman templates. Nescio updated the diff for D1355: Introduces axeman templates. Updated, now with map files (I predict Vulcan will fail because of that). Nescio added a comment to rP20427: Carthaginian range, workshop, elephant stable, mauryan stable, babylonian…. Nescio updated the summary of D1355: Introduces axeman templates. A patch for what to do what? Nescio added a comment to D1355: Introduces axeman templates. As for the AI, sword, spear, maceman, etc. are not hard-coded, neither as classes nor as templates, so the AI should be able to continue handling them after renaming. Well, I'm open for suggestions and criticisms. 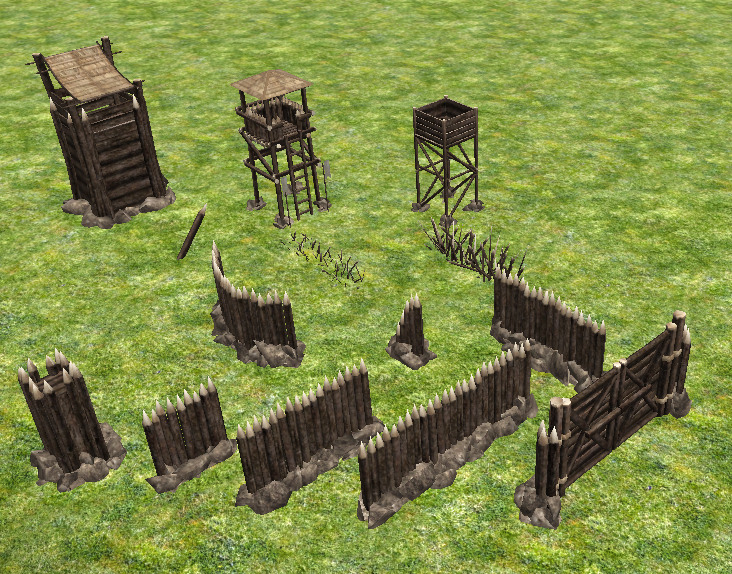 A new template_structure_defensive_siegewall.xml might make sense too, I'm not sure. Why do I think this proposal is better than the current situation? First of all, there is a lot of duplication in those palisade files, which could be reduced by introducing a shared palisade template. Secondly, there are some fundamental differences, e.g. you can garrison units in or on other walls, but not palisades. Yes, the Roman siege walls currently have the different *_wall_* templates as their respective parents, but they are rather similar to the city walls and have only the ordinary five (turret, short, medium, long, gate), whereas there are fourteen palisade files, most of which inherit from template_structure_defensive_wall.xml. Are they structure or gaia things (and so on...)? Personally I consider everything that inherits from template_structure* to be a structure and thus belongs under structures/ (ideally, all except territory_pull.xml ought to be moved from other/ to structures/, but that's a different discussion) and everything that inherits from template_gaia* is a gaia object and thus belongs under gaia/. Mutatis mutandis for other templates. Nescio created D1797: seige → siege. Nescio created D1796: create template_defensive_palisade.xml. Nescio created D1795: remove unnecessary building_collapse_large sounds. Nescio added a comment to D1042: rename maps/ file names to use underscores (instead of spaces and capitalization). Nescio updated the summary of D1042: rename maps/ file names to use underscores (instead of spaces and capitalization).